It was not until 1965 that it became compulsory for front seat belts to be fitted into motor cars in the UK and 1984 before it became compulsory for them to be worn. 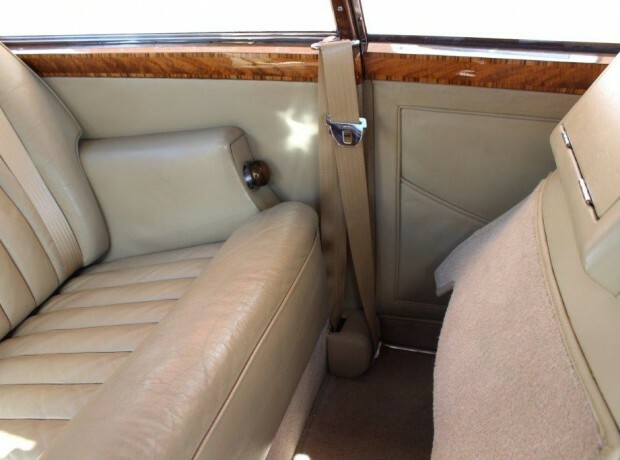 Due to this, over the last three decades the wearing of seat belts has become an everyday occurrence and some of our clients now feel unsafe in their classic cars without them. 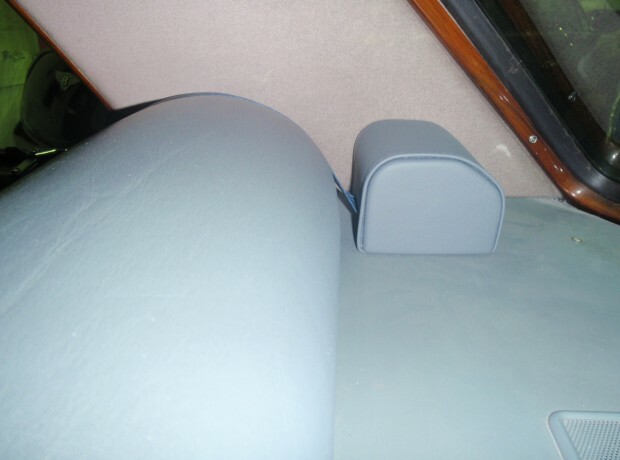 We have seen some appalling attempts at fitting seat belts to pre-1965 cars, not only has the fitting looked un slightly in some cases the fitment was quite dangerous as they would not offer the correct level of protection in the event of an accident. At RR&B we take pride in our installations to ensure the mounting points are substantial and in the optimum position, then with the detail of the coloured belt webbing and period metal chromed buckles we ensure that the installation is in keeping with the styling of a classic car. With the age now of the post 1965 cars, we regularly renew inertia reel units and webbings to improve safety and while doing so we replace the standard black colour webbings with coloured webbing to match or contrast with the trim thus enhancing the interior appearance. 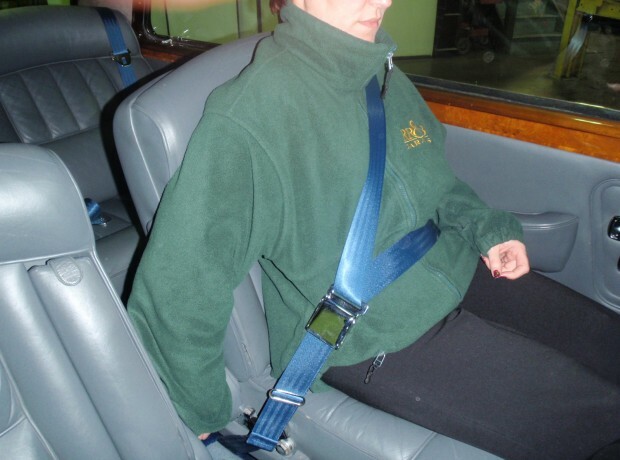 Whatever your seat belt requirements are we will be pleased to help.